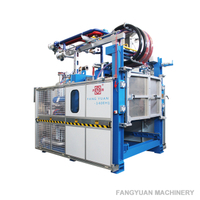 a. High-strength frame: The further enhanced back frame and moving frame, the whole EPS automatic shape moulding machine adopts the body and foot, and makes the frame and machine feet integrated. 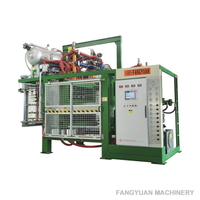 This greatly increases the frames strength and sturdiness of the EPS moulding machine. b. 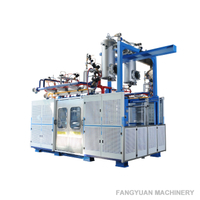 The EPS automatic shape moulding machines are treated with zinc spraying after the manufacturing works which improves load life of the styrofoam moulding machine. 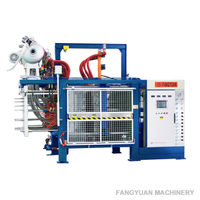 c. The automatic moulding machine with vacuum adopts opposite directions type tie bar for easy maintenance and wear resistance. 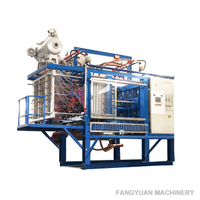 The self-lubricating copper tube of the styrofoam moulding machine solves original tie bar bushing’s problem and improves the lubrication effectiveness. 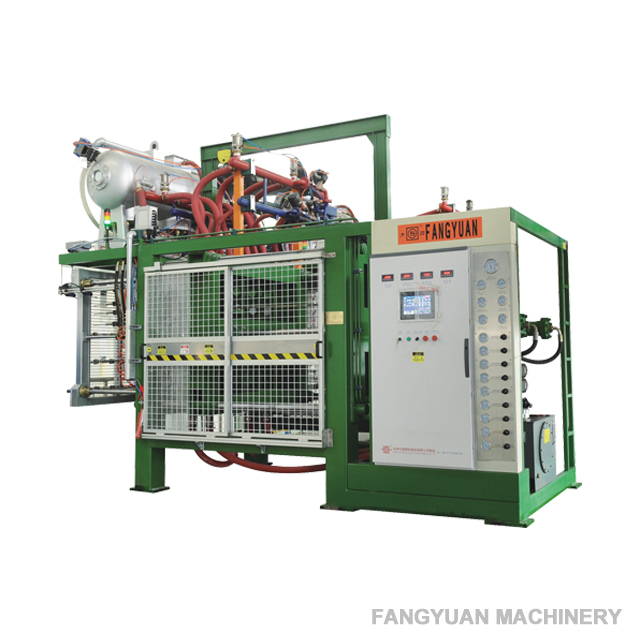 d. The preventing plate and back mould plate of the automatic shape molding machine with vacuum are all stainless steel, which reduces the wear and rust of the mold precision. a. Compared to the T and A type machine, our new E type machine with hydraulic system achieves faster operation for 250mm/speed from 180mm/second. 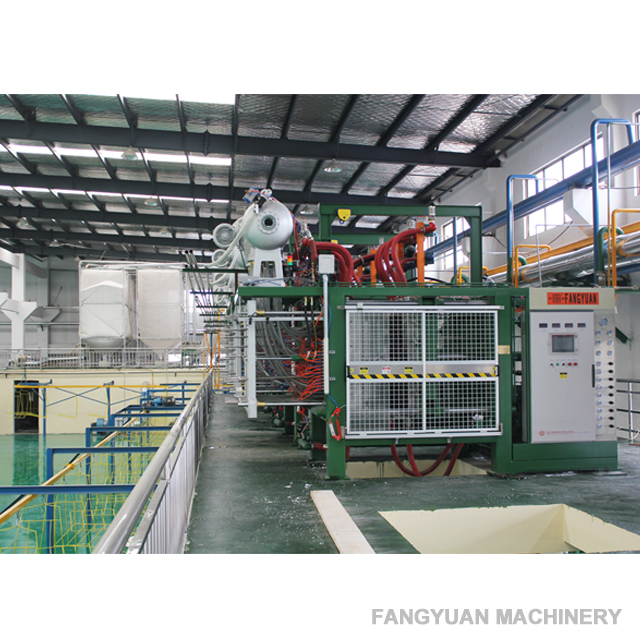 The automatic polystyrene moulding machine with vacuum can effectively improve production efficiency. b. 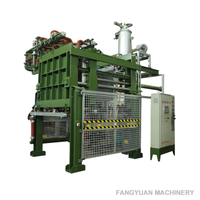 Hydraulic cylinders for the machine frame movement have safety locking of the mold during the steaming process and avoids thepolystyrene molding machine’s leakage of steam. 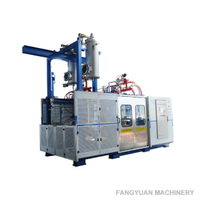 c. Special hydraulic pressure design: the ejecting cylinder and de-mold cylinder can be running simultaneously, which senses the de-mold gas blowing and product ejection synchronization effectively, reducing running time and improves de-mold capability of the styrofoam moulding machine. b. 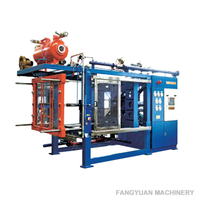 The thermocol shape moulding machine controls the steam pressure by balance valve and pressure sensor instead of electronic connector pressure gauge. 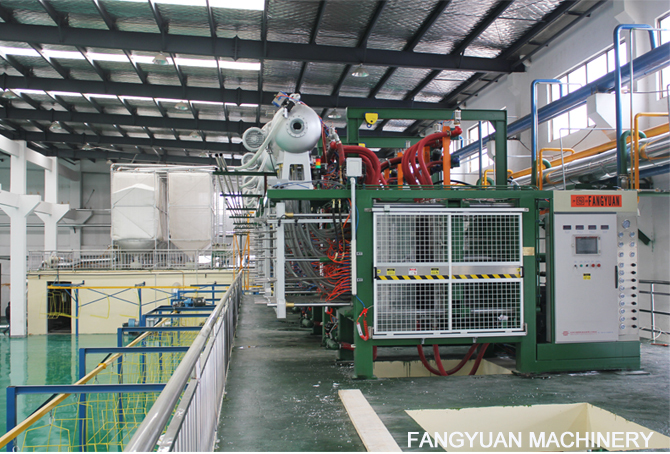 The mold pressure of the styrofoam moulding machine can be set by touch screen to make easy and accurate control. a.For the complete inlet and outlet of water, air and steam, we use big pipeline and vales which are very close to the mold, reducing the excess energy consumption of the shape molding machine, while improving running speed of the thermocol shape moulding machine. 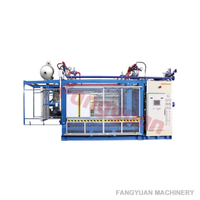 a.The EPS automatic moulding machine adopts vertical vacuum system, with 4-6” large drain pipeline and long length of condensation drainpipe. 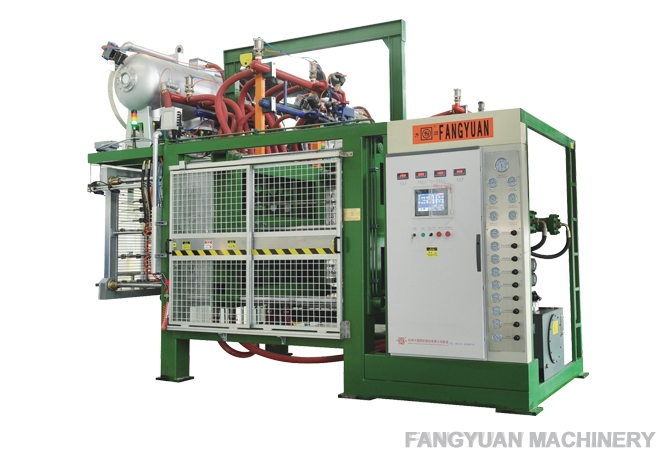 The vacuum tank of the EPS shape moulding machine is equipped with a big spraying system, which sprays the rising hot steam directly, and increases condensation rate. 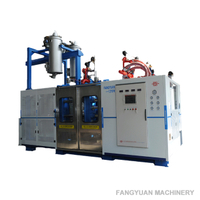 Thus, improving vacuum suction efficiency and achieves vacuum as main cooling instead of main water cooling(normally water cooling will be set only 8-12s). 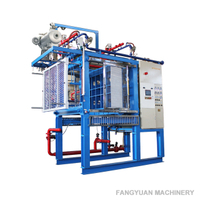 This enables the product of water percentage≤10%，In addition, the spray header of the replacement and maintenance is very convenient. a. 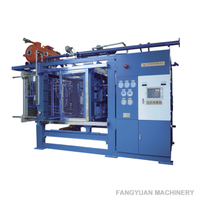 All pressure adjustments of EPS automatic shape moulding machine are remote controlled by the control box, such as cross steaming, Main steaming, Filling also adjusted in touch screen according to different foaming area. 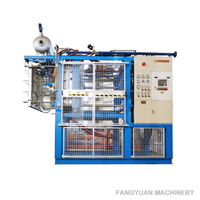 The program of the EPS shape moulding machine also has many self-protection and alarm systems. b. The thermocol shape moulding machine adoptes remote control system for all control pressure parts, electrics parts, valves, gauges and hydraulic parts sourced from famous international brands with quality to ensure the shape molding machine stable and smooth running.